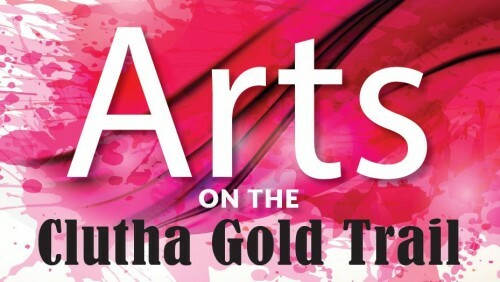 Arts on the Clutha Gold Trail. The idea to instigate Arts on the Clutha Gold Trail has come about after a series of meetings between the Central Otago district Arts Trust Coordinator and residents and business owners in the Teviot Valley who expressed their desire to be part of the existing Arts on the Rail Trail project. Arts on the Rail Trail is an annual event, coordinated by the Central Otago District Arts Trust, which offers visitors, locals and art enthusiasts the opportunity to view works by Central Otago artists in venues along the Otago Central Rail Trail. Exhibitions and events run for 12 weeks during the months of February, March and April, in venues such as cafes, bars, cycle shops and galleries from Clyde through to Middlemarch. it has been three years since the inception of Arts on the Rail Trail and during this time interest in the venture has increased for both artists and operators. While there aren't necessarily many businesses and venues immediately on the Clutha Gold Trail, Teviot boasts a number of established artists, galleries and businesses in the area who have all expressed a desire not only to maximise on the success of the cycle trail but to enhance the attraction for visitors and locals to the area. An introduction to the project has been planned for 2018 and it is envisaged that the project will grow in following years. Details on participating venues and artists in the 'Introduction to Arts on the Clutha Gold Trail 2018' will be released soon.